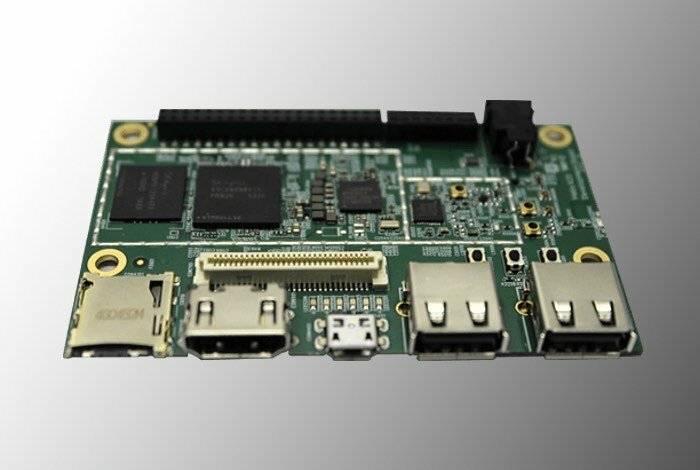 If you are in the market for a new mini PC or development board you might be interested in the new product which has been unveiled by MediaTek this week in the form of the Helio X20 Development Board. The Helio X20 is equipped with a 10-core chip two ARM Crotex-A72 processors and four Cortex-A53 CPU cores supported by 2GB of RAM and ARM Mali-T880 graphics. Other specifications of the Helio X20 include 8GB of eMMC 5.1 flash storage which can be expanded further thanks to the inclusion of a microSD card reader. Input and output ports include HDMI, 2 x USB 2.0, micro USB port, as well as connectivity provided by support for 802.11b/g/n wireless, Bluetooth 4.1 and GPS. The Helio X20 Development Board is capable of supporting Google’s Android 6.0 operating system says MediaTek, who have also equipped the mini PC with 60-pin and 40-pin expansion headers and a 16-pin analog expansion connector for a headset, speaker, and FM antenna. The Helio X20 Development Board will be first launching in China, but is expected to be made available in other countries shortly afterwards. As soon as more details are announced on pricing and availability we will keep you up-to-date as always. If you are interested in creating Internet of Things projects or require a smart home hub you might be interested in our home automation hubs and system guide.